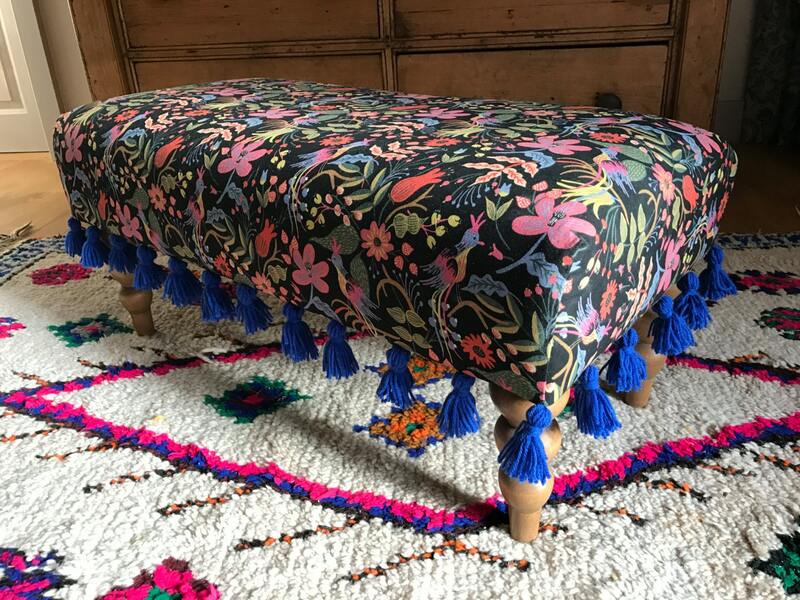 Very cool and unique footstool. 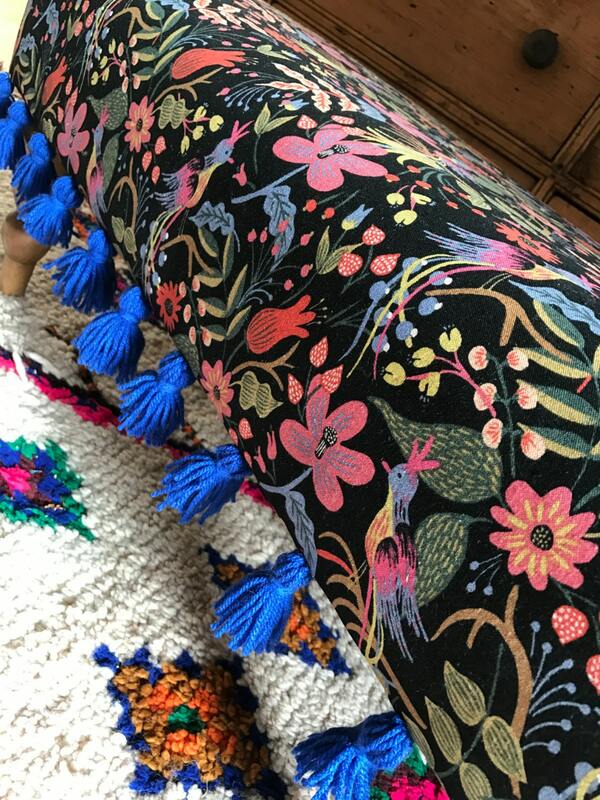 All ottomans are custom made to any size and with any fabric and with any colour hand made tassel trim. I also have a variety of reclaimed vintage footstool feet to choose from. 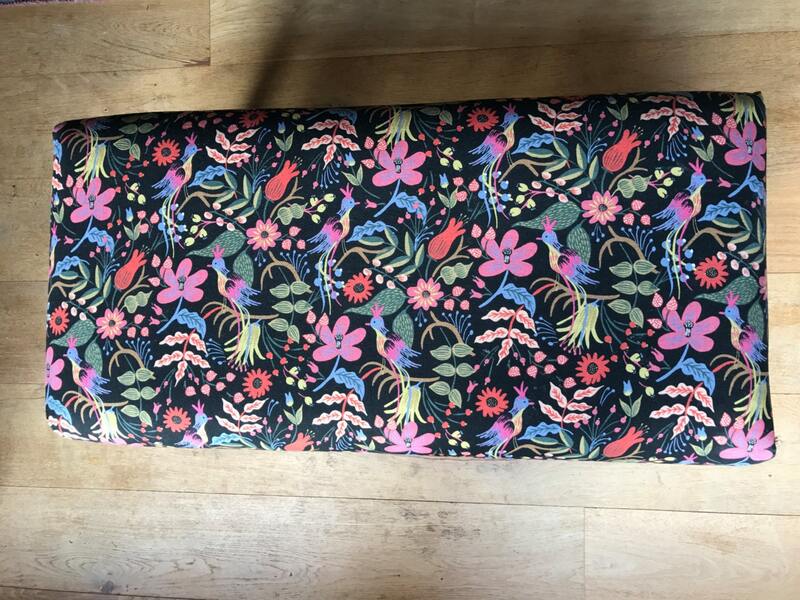 The example in the picture is upholstered using the beautiful canvas folk birds furnishing fabric from the Rifle Paper Co. 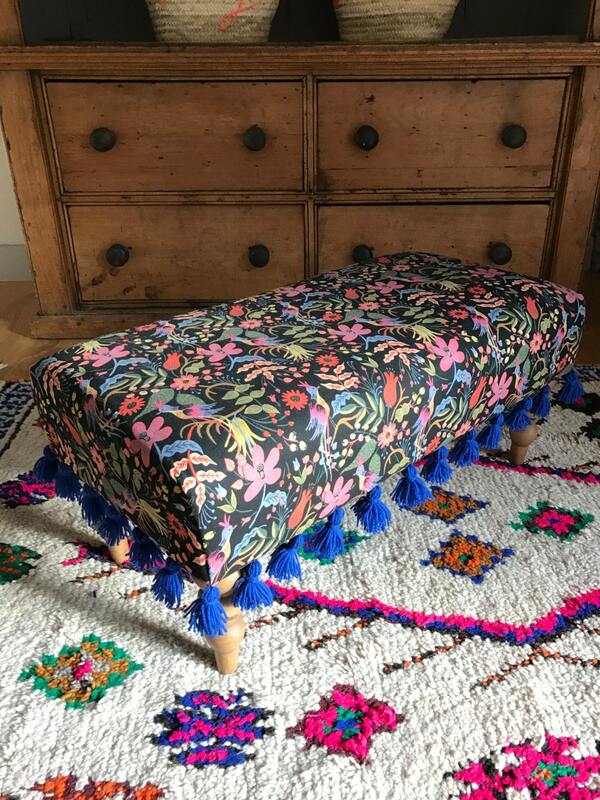 The footstool has been finished with handmade blue wool tassels. Height is approximately 35-40cm. Price from £350. Prices vary according to size and fabric, please do not hesitate to contact me for more details or if you have any questions.